Welcome to the Nintendo Wii Explained Blog. Lets you know whenever any new web pages appear on Nintendo Wii Explained, giving you all the latest Wii info, tips and tricks as they come out. Keeps you posted on all the latest breaking Wii news. 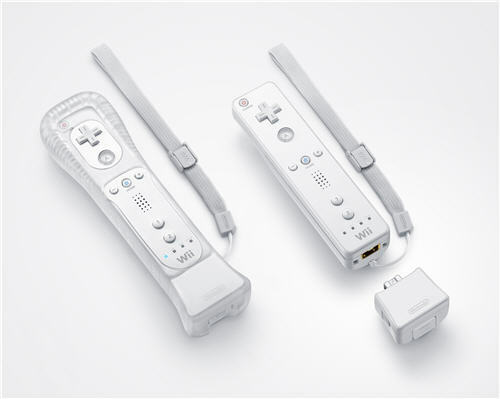 Continue reading "Everything about Nintendo Wii explained clearly and easily"
The Wii remote controller gave us awesome, motion sensing controls for our favourite video games. Now, the Wii MotionPlus adapter makes the Wii remote an even better experience. Continue reading "Wii MotionPlus - Making the Wii Remote Controller Experience Even Better"
Star Wars Clone Wars Republic Heroes is the video games adaptation of the popular Star Wars Clone Wars cartoon series. Find out how it's progressing ahead of its scheduled release. Continue reading "Star Wars Clone Wars - Republic Heroes Preview"
Continue reading "Buy Wii Consoles, Games and Accessories all at Low Prices"
Mini Ninjas is an action adventure video game full of fun, excitement and charm. With a great story, fun gameplay, and thrilling combat, this is a review that's definitely worth reading. Continue reading "Mini Ninjas Review"
Continue reading "Contribute to Nintendo Wii"
The Bigs baseball video games bring arcade style action to America's favourite pastime. But is the Bigs 2 a grand slam home run or a strike out? Continue reading "The Bigs 2 Review – Arcade Baseball Video Games at Its Best"
Continue reading "Vegas Gambling Comes to the Wii"
Continue reading "Green Day: Rock Band Announced"
Call of Duty Modern Warfare finally makes it onto the Wii, two years after its initial smash hit release. Find out if Call of Duty Modern Warfare Reflex Wii is as great as the original. Continue reading "Call of Duty Modern Warfare Reflex Review"
Continue reading "Harry Potter Gets LEGO Treatment"
Continue reading "Need for Speed Nitro Free on Facebook"
F1 2009 offers F1 racing fans an outstanding simulation of the world's most popular motor sport series. With all drivers, teams and circuits included in the game, find out why you shouldn't miss out. Continue reading "F1 Racing 2009 Review – F1 Racing Roars onto the Wii"
It's Story Time on the Wii! Continue reading "It's Story Time on the Wii!" Continue reading "1.5 Million Wii Consoles Sold During Thanksgiving Week"